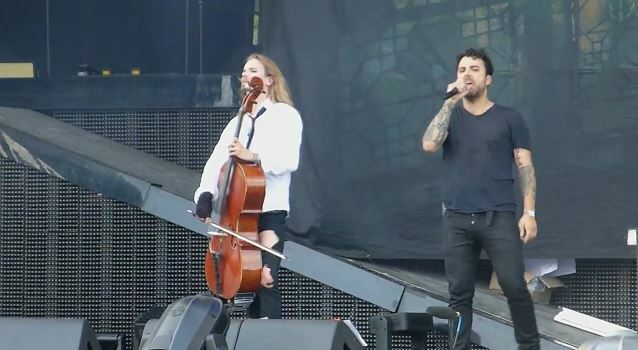 Fan-filmed video footage of APOCALYPTICA's August 9 performance at the Heavy Montreal festival in Montreal, Quebec, Canada can be seen below. APOCALYPTICA is putting the finishing touches on its eighth full-length studio album, to be released in early 2015. Following the release of "7th Symphony", APOCALYPTICA took a break from the standard album cycle in 2013 to pursue a range of musical projects. 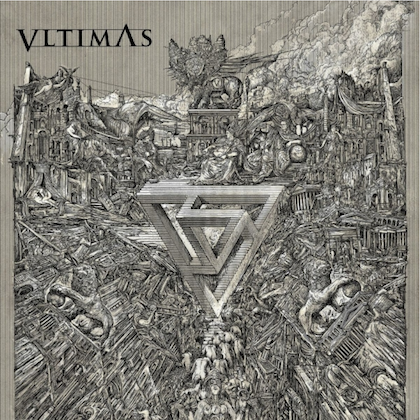 While Eicca Toppinen switched to drums in his side band CHERRY AND THE VIPERS, Mikko Sirén played his instrument on the new EMIGRATE album, Richard Kruspe's (RAMMSTEIN) project. Mikko also performed with Cheek, Finland's biggest hip-hop artist, selling out Helsinki's Olympic Stadium twice. Paavo Lötjönen collaborated with Tipe Johnson (LENINGRAD COWBOYS, APOCALYPTICA) and Perttu Kivilaakso earned the feuilleton's acclaim with celebrated chamber music appearances. Additionally, APOCALYPTICA composed new material and performed live in the multimedia event "Wagner Reloaded" by award-winning choreographer Gregor Seyffert. Earlier this year, APOCALYPTICA's latest project, "Apocalyptic Symphony", embarked on its first-ever tour with a classical ensemble, the Avanti! Chamber Orchestra. "We're in perfect shape," Toppinen states, "and still hungry for the future of making music together. If you want to try new things, you'll never know where you end up. But we're motivated and our heads are full of fresh ideas." 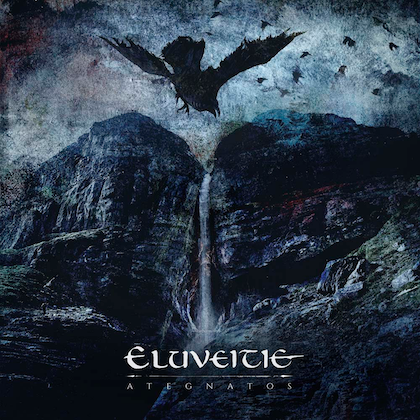 Having collaborated with artists like Gavin Rossdale (BUSH), Dave Lombardo (SLAYER) and Ville Valo (HIM) on past studio albums, APOCALYPTICA have now taken on a new musical challenge: For the upcoming LP, the band is working with Franky Perez as exclusive singer on the vocal tracks — this time not only during production, but for the whole cycle, including the tour. Perez released his debut in 2003, later teaming up with SYSTEM OF A DOWN's Daron Malakian and John Dolmayan as SCARS ON BROADWAY. In 2009, Perez handled vocals for Slash's solo band, followed by collaborations with Dave Kushner (VELVET REVOLVER) as well as Scott Shriner (WEEZER), Joey Castillo (QUEENS OF THE STONE AGE) and Dave Warren ("The Simpsons") as PUSHER JONES. After being honored as vocalist for THE DOORS at the L.A. Sunset Strip Music Festival, he released his latest solo album, "Addict", in 2013. For APOCALYPTICA, working with Perez on the entire project elevates the musical vision to a new level of coherence between studio production and live performance, as well as renewing the focus on the band's homogeneity after the recent feature projects. The release of APOCALYPTICA new album will be followed by an extensive live tour.